John has spoken at Fahan Presbyterian Church in 2010 and in October 2012. The Session and members of Fahan Presbyterian Church were sad and very sorry to learn of the death of John in 2018. Below are a few deatils about John and his friend John Hayes. Click here for John the footballer. TWO men previously "enemies" - an ex-alcoholic and a former court clerk - have written a book together following a chance meeting. John Hayes, 62, was a senior legal adviser to magistrates at Warrington for 38 years. For much of that time, alcoholic John Cartledge, also 62, was a regular "customer" - charged with various drink-related offences. He grew to hate the smartly-suited man who sat in front of the magistrates, advising on sentencing - mainly because he usually ended up being fined or even jailed. Drink was destroying his life. During 30 years of alcoholism he gave up his wife and family, a business and even a lucrative career in football - at one time he was on Manchester City's books. He slept on park benches, mixing with other alcoholics, and spent time in prisons, mental hospitals and other institutions. Then he sought help for his addiction, was freed of it and went to Bethesda Evangelical Church at Stockton Heath, Warrington - and again came face-to-face with John Hayes, an elder and musical director at the church. 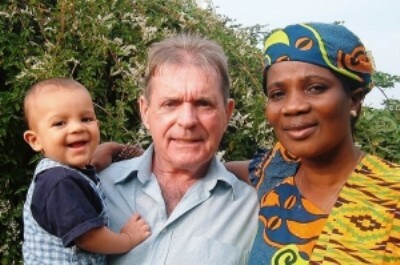 He became a committed Christian, a missionary in Africa and now runs a Christian bookshop which he built at Tamale, in Ghana, where he now lives with his second wife, Akua and their son, Sean. Over a period of 18 months he has collaborated with John Hayes on their book "Alcohol - Thriller or Killer". Tee-totaller John Hayes, who retired from court two years ago, said: "We have written this book out of a great love for people, particularly those who are struggling with an addiction to drugs and especially alcohol, but also to all who are unsure as to what attitude they should hold towards the drink and drugs. "We speak from a wealth of experience, one of us having 'been there, done it all, got the T-shirt' - the other having seen what it does to those in its grip." The book focuses on "the slippery road to alcoholism," problems for families and the risks of social drinking as well as on the lives of the "two Johns". It is published by Ambassador International and can be obtained from CLC Christian bookshops, other book retailers or direct from John Hayes on 01925 637706. It retails at £7.99.